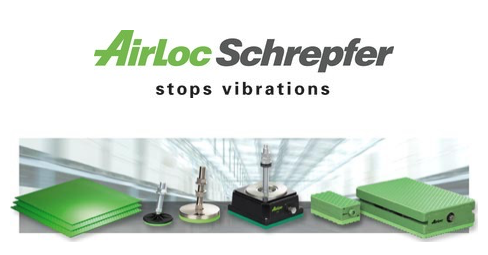 AirLoc’s new generation of vibration isolation pads are highly developed materials for solving problems due to vibration and structure-borne noise. The technical and physical characteristics are in line with the latest state of elastomer development and cover application areas that were not possible a few years ago. 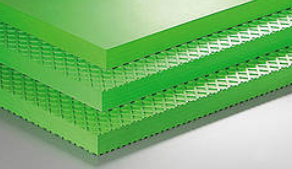 With our wide range of isolation pads, vibration problems common to today’s equipment can be solved economically and efﬁciently. And of course all AirLoc pad materials are RoHS certiﬁed. 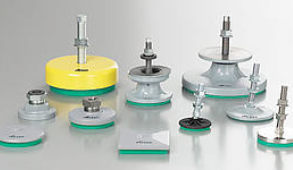 AirLoc Jacmount® Adjustable Levelers are characterised by their simple and effective construction. A broad range of leveling feets makes it easy to select the elements to suit your needs and helps you keep costs down without having to compromise quality. 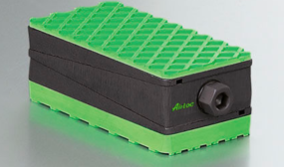 The patented Jacmount® Adjustable Levelers allow anchor-free setup, compensation of ground unevenness. They have with great horizontal rigidity and are used in applications with high dynamic horizontal forces. Perfectly suited for quick and precise machine setups. AirLoc offers its customers the largest selection of Jacmount® Adjustable Levelers that can be delivered on short notice.